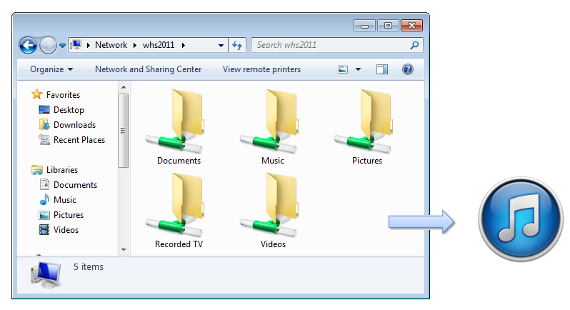 iHomeServer is the ideal way of running iTunes on Windows Home Server (both WHSv1 and WHS 2011) and Windows Server 2012 Essentials. In fact, iHomeServer was originally built with all WHS users in mind. 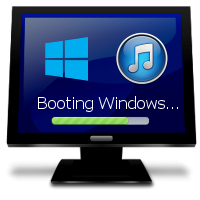 It is the leading way of starting iTunes as a Windows service so that iTunes is up and running at the point you boot your server up. No need to log-in, no need to touch anything - rely on iTunes "just being there". 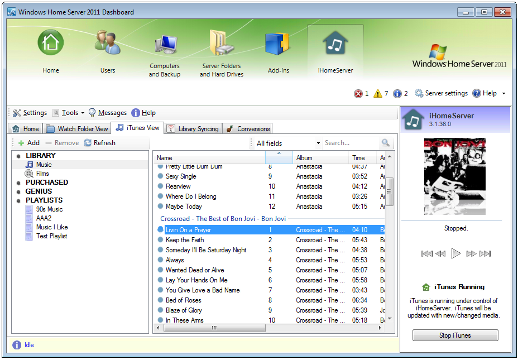 iHomeServer installs as a Windows Service and starts iTunes in the context of this service. This means iTunes is always running when you need it. † Streaming is supported for non-DRM protected music and video only. Compatibility of media depends on client device.